Katherine Tegen Books, 9780062257291, 528pp. 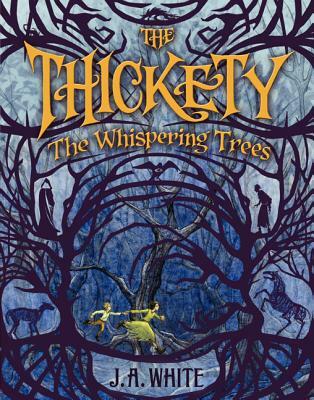 Perfect for fans of Neil Gaiman, book two in the acclaimed Thickety series is the story of a good witch, a bad witch, and a forest demon, trapped together in a world that is both enchanting and dangerous. After Kara Westfall's village turns on her for practicing witchcraft, she and her brother, Taff, flee to the one place they know they won't be followed: the Thickety. Only this time Kara is magicless without her grimoire and Sordyr, the forest demon, is intent on keeping them there. Kara and Taff will meet other inhabitants of the Thickety in their search for a safe way out, including the infamous witch, Mary Kettle. But can they trust anyone—plant, creature, witch, book, or magic—to help them escape, to undo Grace's final terrible spell, and to stop Sordyr's horrible reach from spreading across the rest of the world? J. A. White is the author of The Thickety: A Path Begins. He lives in New Jersey with his wife, three sons, and a hamster named Ophelia that doesn't like him very much. When he's not making up stories, he teaches a bunch of kids how to make up stories (along with math and science and other important stuff). He wishes dragons were real because it would be a much cooler way to get to work.